Working with a non-partisan group formed to get high school students civically engaged and registered to vote. Kris accepting the PTA Golden Oak Service Award, the most prestigious of service awards given to an individual that has made significant contributions to the welfare of children and youth in school or the community. Kris and fellow volunteers celebrating the November 2016 passage of Measure S, a school facilities improvement measure. Nearly 63% of our local voters approved Measure S, which will mean improved academic facilities for our students. Kris with fellow community volunteers. 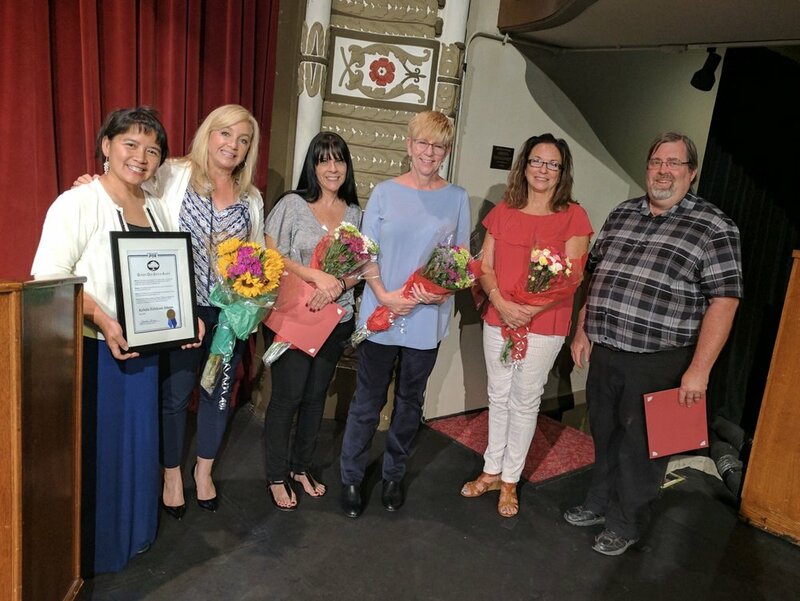 Kris is proud to surround herself with those parents and teachers dedicated to spending countless hours volunteering to make Orange Unified School District and our community a better place. Recognition ceremony for CARE for our service to the OUSD community by the Anaheim City Council. Kris enjoying time at a Title VII Native American cultural event. As a leader on the Parent Advisory Committee for many years, Kris supported the mission of the program which is meeting the unique educational and culturally related academic needs of American Indians and Alaska Natives. For 6 years, Kris chaired the Staff Appreciation events at two different schools. Honoring the amazing teachers and staff was one of the most rewarding opportunities Kris had to serve the schools.